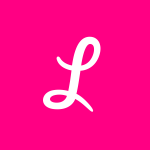 If you’re anything like us, you wake up each morning with a long checklist of daily to-dos. You also have a few long-term goals that are important to your health, finances, and growth, but these bigger priorities don’t necessarily fit into your everyday schedule. It seems like there aren’t enough hours in the day to balance everything, and long-term interests tend to take the backseat to more immediate short-term goals. Why is it that we feel active in our day-to-day, but unproductive when looking back on our week? Why is it that given the amount of time we spend working, we find it so difficult put time towards the goals that are most important to our wellbeing and happiness? 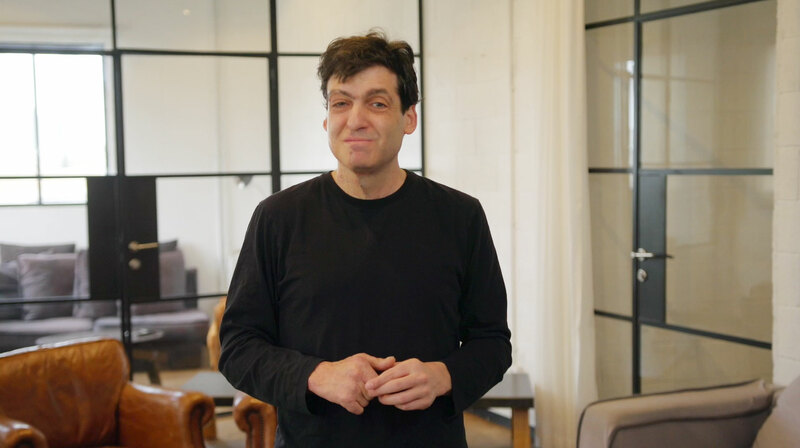 We sat down with Dan Ariely, our Chief Behavioral Officer, to get to the bottom of it. Dan explained that it’s so difficult to put our long-term goals first because we often let our “Pebbles” get in the way of our “Big Rocks.” Pebbles are small tasks that come our way every day, while Big Rocks symbolize long-term goals, such as planning our family’s future, paying taxes, making financial plans, taking care of our health, and getting ready to move apartments. If our week was a glass jar, we could easily fill these jars with every pebble, grain, and small rock that comes our way. Without realizing, our jar would be full before there is any room for the Big Rocks that are important to us. So why do our short-term actions prevent us from reaching long-term goals? And what steps can we take to prioritize our future selves? One of the major reasons it’s difficult for us to focus on our Big Rocks is that working on our Pebbles often brings us an immediate, tangible reward. We get pleasure from checking off a small task on our to-do list and visibly seeing our progress. It feels far more productive to respond to 15 unimportant emails than to think critically for one hour. 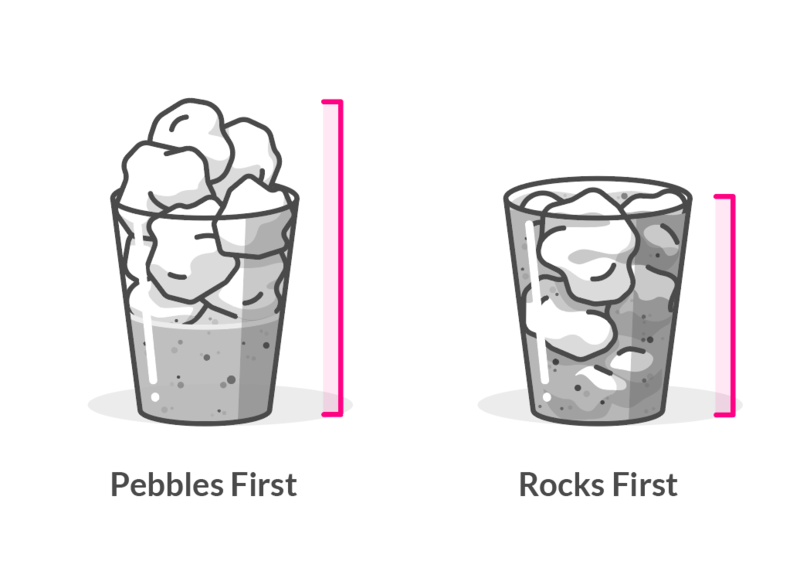 We need to trick our minds into feeling a measurable reward when pursuing our Big Rocks. The key is to break down our Big Rocks into smaller steps, and add these milestones to our weekly checklist. Let’s say you set a personal goal to take better care of your health. You can set goals to exercise three times a week, make a doctor’s appointment, and opt for fruit instead of dessert after dinner. That way, it will be easier to feel your progress and motivate yourself. We often wait for a solid reason, a sign, or a “muse” to tell us it’s time to take steps towards pursuing our long-term goals. Waiting for inspiration is a tempting excuse, but it can hold us back from prioritizing our future selves. Let’s say you’ve been putting off the task of purchasing insurance for your new apartment. This task has been sitting on your to-do list for months, but you haven’t found the inspiration to actually get it done. But, in fact, chances are you’d feel much more at ease in the long run if you did not wait for a “muse” – or a burglar – to motivate you to protect your things. If we simply set aside the time to achieve our Big Rocks, we’ll be sure to thank ourselves one day. Taking steps to plan for our future can bring a sense of reward when we least expect it, and will also help us finally feel a greater sense of accomplishment at the end of our busy week. Oftentimes, we’re not mindful about the way we balance our time, and that can get in the way of working towards our Big Rocks. Rather than making sure we use the hours in our day efficiently, we often give way to the temptation of ‘structured procrastination,’ which is tackling easier projects first instead of the important ones. Reordering our checklist or getting to “inbox zero” can give us a false sense of productivity. It’s especially appetizing to give into structured procrastination right when we arrive to work. However, most of us are at our most productive between 9 and 11 am. We would be better off spending those precious hours doing productive work that requires more brain power, such as thinking, planning, or calculating. If we train ourselves to delay more simple tasks to later hours of the day, we’ll find ourselves with more free time to prioritize our long-term goals. We often use calendars to dictate our busy schedules, yet Big Rocks almost never make the cut. Our calendars are often filled with meetings and other small Pebbles. Plus, it’s generally our instinct to fill empty spaces between events with more meetings and short-term commitments, rather than using this free time to work towards achieving bigger goals. We would be better off making a daily commitment to work on our Big Rocks in the open slots on our calendar. It would be wise to put smaller milestones into our calendar in order train ourselves to prioritize milestone tasks, just as we prioritize our daily Pebbles. If we work to align our short-term and long-term goals with the story we’d like our lives to tell, it would be much easier for us to reach our biggest goals, and to lead happy, fulfilling lives. Admittedly, prioritizing our future selves is easier said than done. It is much more natural to seek out immediate satisfaction than to put effort towards a goal that we cannot measure or see. But oftentimes, our greatest sense of satisfaction comes from achieving a long-term goal. Whether it’s taking care of your health or finally sticking to a budget, reaching a big milestone will have a much more palpable impact on our happiness and wellbeing. It’s all about starting small, setting attainable goals, and making an effort to stick with them. So do yourself a favor: before you go back to whatever you are currently procrastinating, create a calendar event. Block out 30 minutes within your empty time next Monday to make a list of small milestones for one of your long-term interests. It’s small effort, with high reward. Your future self will thank you. “Adulting is hard.” How many times have you read that on your social feed? We dug deep into social trends to see if ‘adulting’ is just a fad, or if it’s here to stay.